Scams can scram as the UK’s Payment Systems Regulator (PSR) has revealed its plans to bring in new protections for consumers. As reported in December 2016, the PSR started a co-ordinated industry-wide effort to tackle payment scams. This was a response to a super-complaint issued by consumer watchdog Which?. Today (28 February), the PSR has announced the outcome of its consultation on introducing a contingent reimbursement model for victims of authorised push payment (APP) scams. The consultation, which ran from November 2017 to January 2018, gave people the opportunity to provide feedback. It gathered opinions from the industry, consumer groups and individuals to make sure the PSR could understand how best to protect people. The PSR says there is “broad agreement that there is a need to better protect people against APP scams and reduce the harm they cause”. Kind of obvious I guess. Glad you asked. As Smith said, an industry code will be in place from September, which the Financial Ombudsman Service (FOS) can consider as a relevant consideration when determining new consumer complaints about APP scams. The code will be publicly consulted on to be refined in early 2019 and the regulator expects that it will continue to evolve to ensure preventative measures are up to date. For victims of APP scams, “this means they can be confident any claim for reimbursement will be given fairer consideration”. 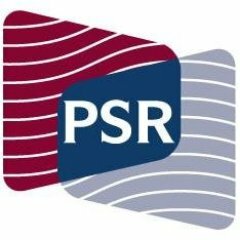 The PSR is also bringing consumer and industry representatives together to establish a dedicated steering group. Led by an independent chair appointed by the PSR, the group will ensure the contingent reimbursement model is “designed in the best way to minimise the number of scams in the future and protect victims of scams”. The steering group will be required to consider both consumer and industry needs and meet the regulator’s ambitious timescales. The group will start work in March 2018. According to the PSR, APP scams can have a “devastating impact on people and this work is about establishing the right incentives for everyone to prevent and respond to scams”.